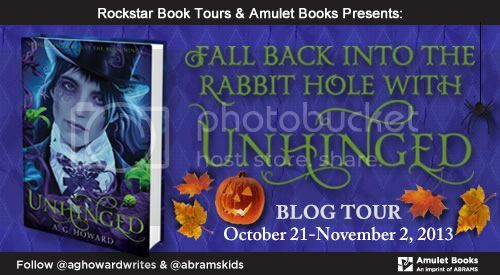 Welcome to the Unhinged blog tour hosted by Rockstar Book Tours and Amulet Books! I am very excited to be a part of this tour and today I present to you a guest post from the author herself! Sometimes, the most romantic stories are the ones with a darker side. Love shimmers that much brighter, when there’s no other light to be found. Do you have any favorite romantic “Halloweenish” books? Let us know in the comments so we can check them out. Tomorrow we talk cemeteries, both earthly and Wonderland style. There will also be a giveaway for a fantastic and creepy prize, so be sure to stop by for tour post number six! 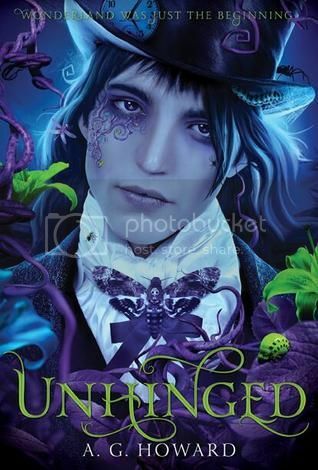 Also, before you head out, don’t forget to enter the rafflecopter below for a chance to win one of 12 UNHINGED ARCs. Hope to see you at the next stop! Thanks for stopping by Anita! It was so great to have you here! I'm so excited! I loved the first book more than anything I've probably read all year! I have heard good things about this series! I Need to read them both!! Thanks a million for the chance to win!! I cannot wait for this book! I've never liked Alice in Wonderland until now! I LOVED Splintered!